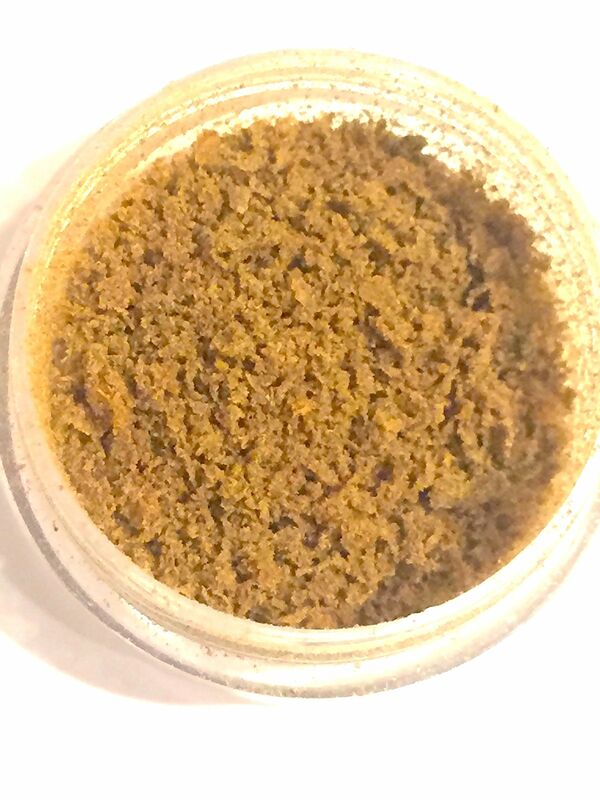 1 gram of Afghan Kush granular hash 73u. Bubble hash made with ice and water. Made from a very potent indica crossing a classic afghani with master kush to produce a very heavy couch lock high and strong kush and hash flavors with an even stronger body numbing high. Great for pain relief and very relaxing to ease the nerves from stress and a very effective sleep aid due to high CBN. 1 gram of Chitral Kush granular hash. Bubble hash made with ice and water. Chitral Kush is an heirloom landrace from Pakistan and is considered a true Kush. A very heavy hashish good for pain and sleep and very relaxing, smoke your stress away and reach new levels of relaxation. 1 gram of Rare OG fresh frozen granular hash 45u micron. Bubble hash made with ice and water from fresh frozen flowers. Very euphoric and sedative high. A very good choice for pain relief and a great sleep aid. 1 gram of Wifi granular hash 73u micron. Bubble hash made with ice and water. White Fire OG (Wifi). The strong medicinal and pain-fighting effects are ushered in with a pungent earthy aroma that is amplified by flavors of lemons and sour citrus. White Fire OG is an indica-dominant hybrid that is great before bedtime, helping you relax, decompress, and find sleep. 1 gram of Wifi granular hash 45u micron. Bubble hash made with ice and water. White Fire OG (Wifi). The strong medicinal and pain-fighting effects are ushered in with a pungent earthy aroma that is amplified by flavors of lemons and sour citrus. White Fire OG is an indica-dominant hybrid that is great before bedtime, helping you relax, decompress, and find sleep.